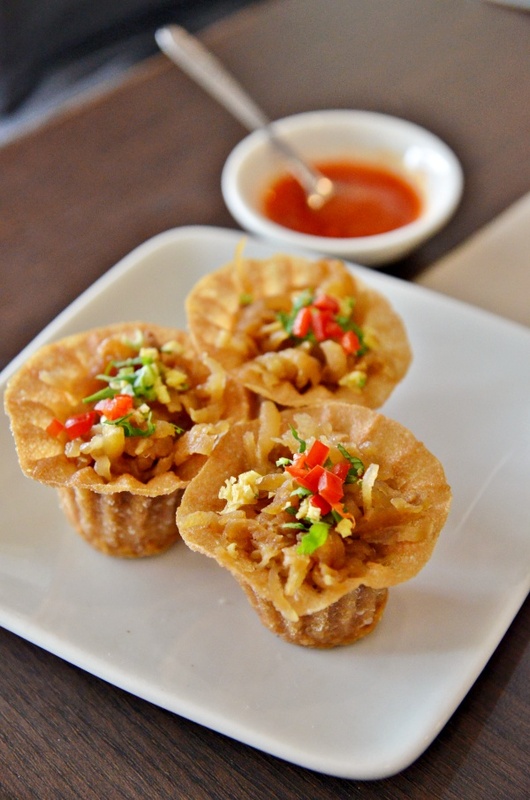 Pie Tee (MYR1.50/USD0.50 each) – These are Nyonya-inspired flower-shaped crispy pastry filled with juicy mengkuang (jicama/yam bean), finely-chopped omelette, red chillies and scallions; meant to be eaten with their own concoction of piquant & tangy chilli sauce. 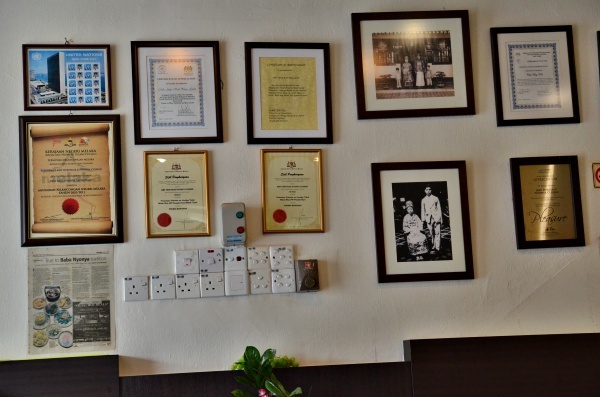 Continuing the Melaka 2014 series; let me share with you this brilliant discovery of one excellent Nyonya cuisine restaurant in Melaka named Amy Heritage Nyonya Cuisine at Taman Melaka Raya. Despite the many visits to the heritage town over the years (looking back over the recent times; this has been an annual ‘makan’ pilgrimage! ), I have yet to find one Nyonya restaurant worthy of two thumbs up or tagged with a ‘die-die-must-try’ label. Okay, I’ve done Baba Low recently for breakfast but they are not full-fledged Nyonya restaurant per se. Those in the league of Ole Sayang, Nyonya Makko, Cottage Spices or Big Nyonya (formerly Kenny’s Delight). So what makes Amy’s restaurant so special? The calm before the storm. I read about the scary lunch crowd and that reservation’s a must (number to come at the end of this post). Hence I actually called a night before. Not necessary though, you can walk in around 11.30 am to 12.00 pm, and should be able to secure a table. Seven years into business, Madam Amy Koh (in her 70’s now) has successfully garnered strong support and even accolades from various boards. The most prestigious recognition came when she was invited by Tourism Malaysia as ambassador to USA to promote authentic Nyonya cuisine. One of the reasons that you are highly recommended to make reservations and if possible, order your food in advance so that Amy and her team (most prominently her husband who’s one proud, talkative chap exerting slightly more control over your orders than you might feel comfortable with, yet we could sense the unmistakable pride he had for his wife’s cooking and the establishment) will be able to shop for the ingredients accordingly in the market early in the morning, and whip up a storm for you. The wait for our food was slightly too lengthy to be comfortable; the first customers to arrive and it took them a good half hour before the mains were served. Pie Tee and Otak Otak were served first thankfully; both really classic interpretations of Nyonya cooking; the former snack being one of the best that I have tasted. 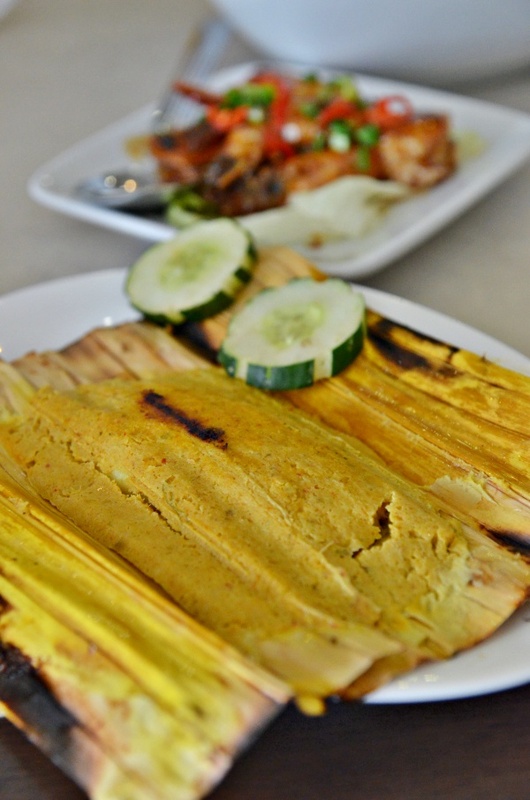 The Otak Otak (grilled fish paste wrapped in banana leaf) was unlike any other we have tasted, yet the bouncy texture had this artificial air surrounding the palm-sized fish patty. But you have to understand that good things come to those who wait. And very peculiar or rather, expected of Nyonya cooking is the wait time and attention channeled into every single minute detail. Since Amy is the main chef (well, she could be the ONLY one capable of helming the kitchen) here, she does all the cooking and takes charge of the flow. So passionate and meticulous over the quality of her food that she does not delegate the important tasks to her kitchen staff. Apparently, the restaurant was closed for a while recently as she was recuperating from a hand surgery. 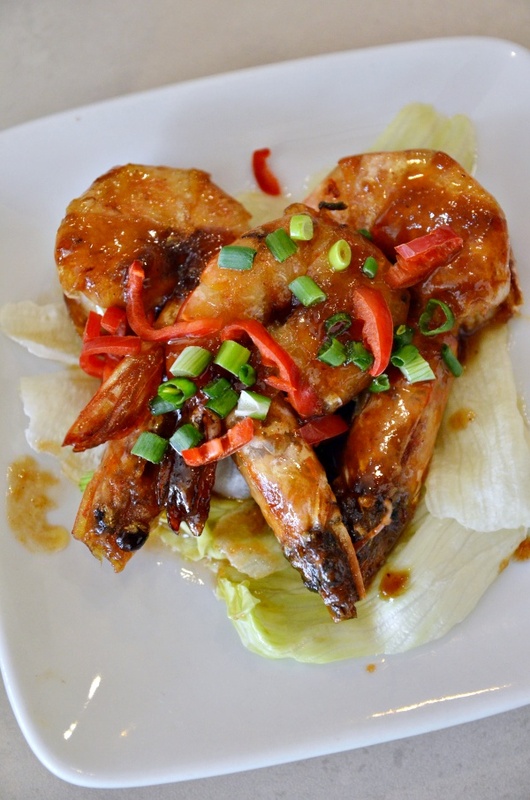 Udang Goreng Asam (MYR 28 / USD 9) – Yup, 3 pieces of prawn basked in a sweetish and slightly spicy tamarind-based sauce. It’s this sheer admiration over her persistence and focus on cooking the best authentic Nyonya dishes inherited from her grandparents and parents that made the wait seemed so bearable and worthy. 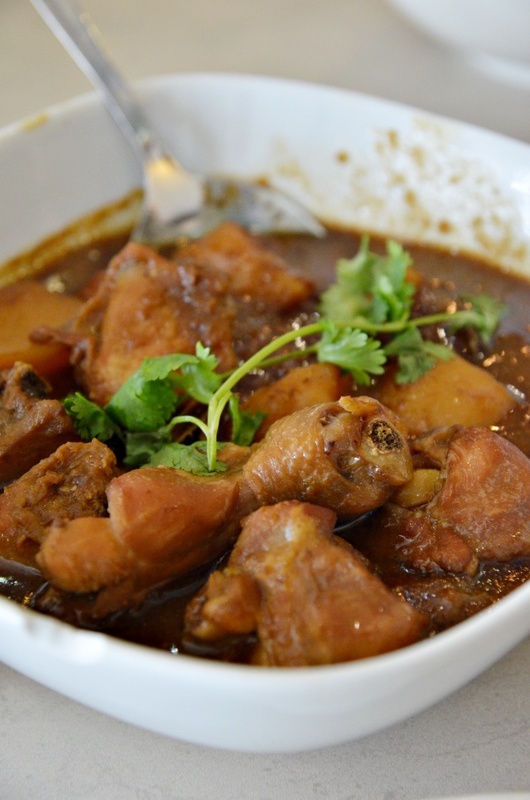 We could taste the laborious effort invested into ensuring that the julienned yam bean in her Pie Tee tasted right and moist, the Ayam Pongteh had a perfect balance of savoury and sweetness; with the cuts of stewed chicken still firm and tasted fresh from the market. The dark-coloured gravy was a blessing for the unlimited amount of steamed white rice served in a traditional tiffin carrier. The Udang Goreng Asam (prawns cooked with a sweet, sour and spicy sauce) was a tad overpriced at MYR 9 per piece, yet the sauce was one finger-licking good version that made us forgave the drilled hole in our pockets to some extent. Give this a miss if you wish; and spend on a Telur Cincalok and/or Sambal Jantung Pisang instead. 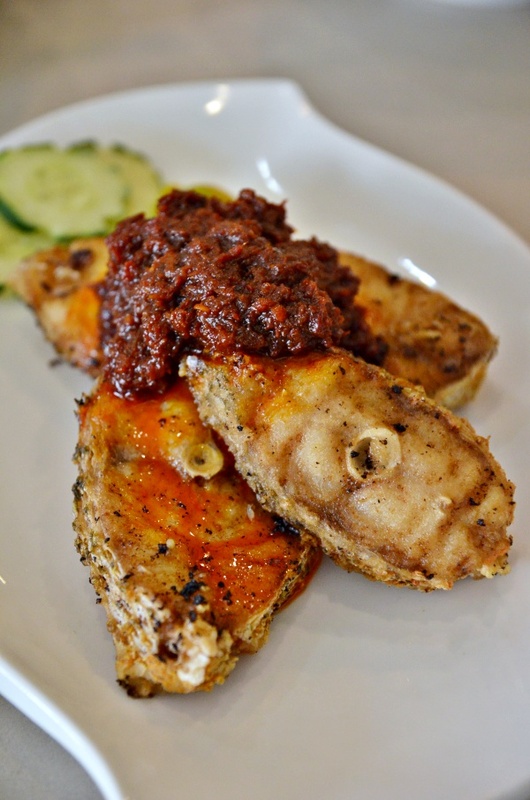 Ikan Cili Garam (MYR35/USD12) – Deep Fried Fish Fillet topped with their signature Sambal flavoured with garlic. The most expensive yet most memorable dish of the day was the Ikan Cili Garam; deep fried fish fillet to a crispy finish topped with a generous dollop of garlic flavoured fresh chilli paste. The chilli paste here at Amy was really packed with a punch; the spiciness was well balanced and the robust flavour complemented the fish well. Since the fish was very lightly seasoned (possibly rubbed with only salt), the full-bodied taste of the sambal kicked things up a notch and lent the dish with strong aroma and flavours. And the dish the uncle who was beaming with pride proclaimed their very own; and not served anywhere else – Kangkung Kobis Keledek Masak Titik Lemak (MYR12/USD4). This even came with a money-back-guaranteed claim! 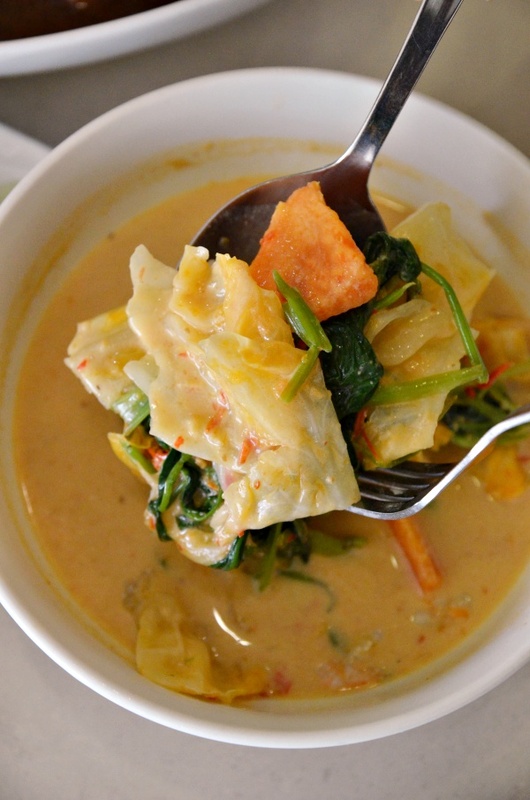 The last dish was a creamy Masak Lemak dish that was rightly spiced and flavoured; with addition of not only the conventional cabbages, but also sweet potatoes and water convolvulus (kangkung). Indeed, this was as flavoursome as promised (by the uncle), and we had no qualms ordering this again the next round. Opens from 11.30 am – 2.30 pm, 6.00 pm – 9.30 pm. 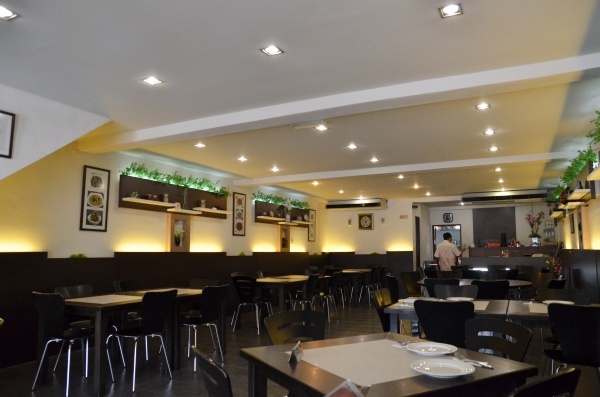 *This restaurant is near to Mahkota Medical Centre; and opposite of the main road from Allianz Insurance. Although named Taman Melaka Raya, this is NOT within the vicinity of the area with Ole Sayang, Bibik Neo and Nyonya Makko. Instead, this is across the main road Jalan Syed Abdul Aziz (towards the Straits of Malacca), same side as Holiday Inn Melaka. You’re on the list. Good blog. Fantastic post & photos – really makes me want to immediately ‘serang’ the restaurant.